In the first month of the new year, it is important to take stock of what was achieved the year before, and look forward to more in the next year. 2016 has been a very productive and eventful year for Quality Inn & Suites - Hollywood Blvd & Port Everglades Cruise Port, both in terms of business and guest satisfaction. We've enjoyed a record number of reservations and bookings, both through direct bookings through our website and through third-party booking travel sites like Expedia and Hotels.com. Our online community has grown tremendously during 2016. 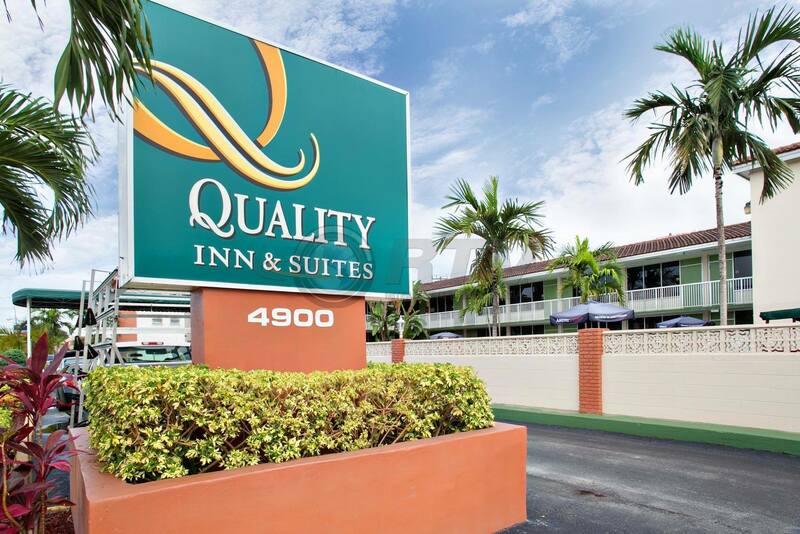 Quality Inn & Suites - Hollywood Blvd & Port Everglades Cruise Port is always excited to interact with our followers and bring valuable information on travel, cruising and vacations to those interested in vacationing in South Florida and cruising out of Port Everglades. Our desire to relate with past, present and future guests has led to exponential growth of our followers, closing in on 1,000 Facebook followers in the first month of 2017. We are very excited to bring more exciting, relevant content to our followers and guests in 2017, and are looking forward to continuous growth of our online community. This past year did have one tragic note for all of us at Quality Inn & Suites - Hollywood Blvd & Port Everglades Cruise Port. It is with heavy hearts that we had to say goodbye to Genie Harris, a 15 year veteran, and the longest tenured employee of our Hollywood cruise hotel. Genie passed away in September of 2016, but she remains in our hearts and in our minds. 2016 culminated on a positive note. For the sixth consecutive year, Quality Inn & Suites - Hollywood Blvd & Port Everglades Cruise Port was awarded the prestigious White Glove Award by the Superior Small Lodging Association. The annual award recognizes hotels for exceptional cleanliness, organization and customer service. 2017 will be a year in which we hope to exceed our high standards for customer service, organization and comfort to bring our guests a top-notch experience. If you are looking for a cruise hotel in South Florida, be sure to look us up. In addition to our exceptional in-hotel amenities, we offer transportation to and from Fort Lauderdale International Airport and to and from Port Everglades, long term cruise parking, and Stay, Park & Cruise packages for an all-inclusive experience unlike any other. Happy 2017! We will see you in sunny South Florida soon!